A luxurious accommodation in Bharatpur, The Raj Palace hotel Bharatpur offers internet access to its guests. This Bharatpur property is at 0.5 km from Bharatpur Bird Sanctuary and at 0.2 km from Saras Circle Bus Stand. This hotel houses 11 spacious and well-kept rooms with attached baths and hot/cold running water. Each room is equipped with separate sitting area, wardrobe, ceiling fan, bottled drinking water and makeup mirror. 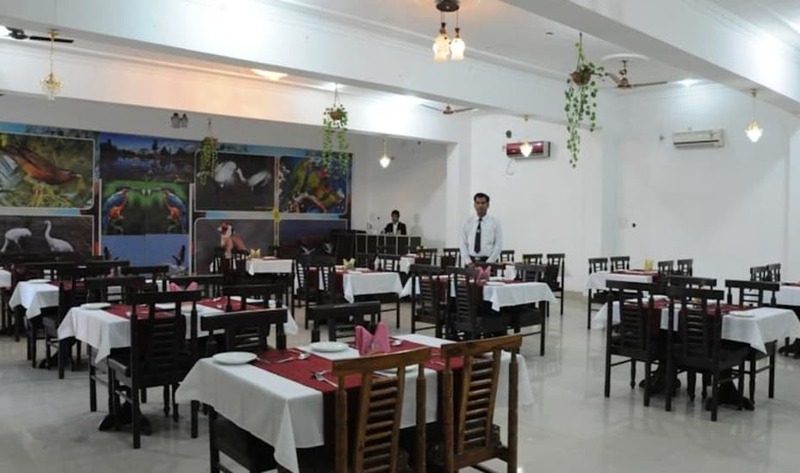 This Bharatpur accommodation features a restaurant, travel counter, conference room and business center within the premises. Guests can also avail transportation service, laundry and room service during their stay. The Raj Palace hotel Bharatpur is reachable via Bharatpur Junction (5 km) and Sewar Railway Station (9 km). Few tourist places of attraction nearby are Keoladeo National Park (6 km), Jama Masjid (3 km), and Asht Dhatu Gate (3 km). Business Facilities, Room Service, Complimentary Newspapers in Lobby, Breakfast Services, Security Guard, Parking, Backup Generator, Exhibit Space, Currency Exchange, Internet/Wi-Fi. Complimentary Newspaper, Wakeup Calls, Iron/Ironing Board, Climate Control, Slippers, Reading Lamps, Air Conditioning Room, Smoking Rooms, Moisturiser, Attached Bathroom. User reviews for "The Raj Palace Hotel Bharatpur"